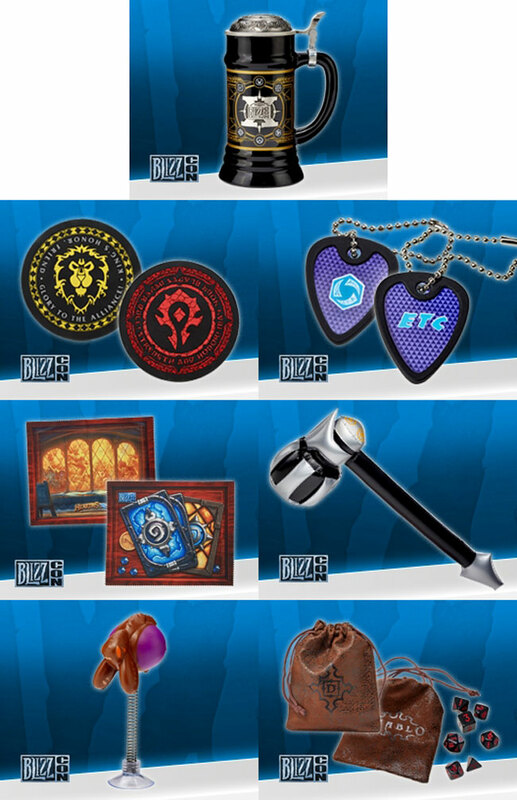 Blizzard has revealed exactly what you'll get in this year's Blizzcon goody bag. If you're one of the lucky few who laid their hands on a ticket to Blizzcon this year, you know you've got a goody bag full of loot awaiting you. If you had to settle for a Virtual Ticket, you can now buy a goody bag for yourself, but only if you manage to get it ordered before the supply runs out. But what's in the bag? A World of Warcraft faction coaster, with Horde on one side, and Alliance on the other. A guitar pick with the Heroes of the Storm logo on one side and the Elite Tauren Chieftain logo on the reverse. A microfiber tablet cleaning cloth that features Hearthstone card backs and an image of the tavern. An inflatable Reinhardt Rocket Hammer from Overwatch. A Starcraft 2 Baby Overlord antenna topper. A set of tabletop gaming dice in a spiffy Diablo 3 bag. If you want to get your hands on one of these goody bags, you should move fast, as they typically sell out quickly. Each Battle.net account is limited to one bag, and you must have a Virtual Ticket to order. It'll set you back $35. I want that inflatable hammer right god-damn now. I don't really have a use for any of this...but I REALLY WANT IT. Since I can never afford to go to Blizzcon (or any other worthwhile con) ever. For a moment there I read "Bitcoin Goody Bag" and was like, WTH? 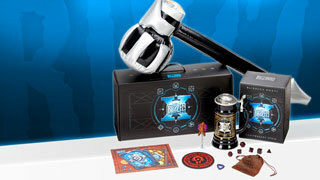 Speculation has it that Diablo 4 will be revealed at the next Blizzcon due to the irregularity of one of the table top dice included in this little gift set. More noticeably the smaller than usually and much smaller than the other die in this particular set, the 4 sided die also known as a D4. Get it Diablo 4? Ah the internet and it's crazy theories. Here's hoping it's just a theory and on the off chance does anyone here have any pieces of the Sigon set I could have? 2 d8s and missing the other d10 to make a d100? What fresh hell is this?